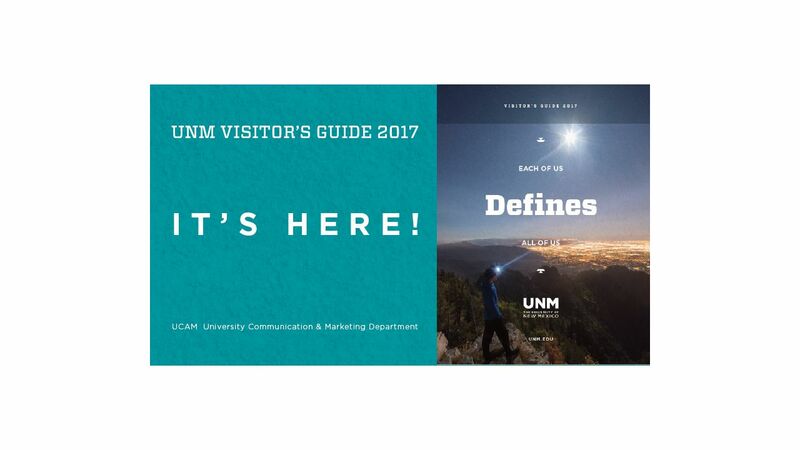 The wait is over -- the 2017 UNM Visitor Guides are now available. The redesigned Visitors Guide is an extensive look at the institution and the city that surrounds it. 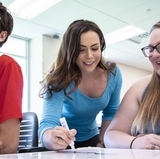 In 47 colorful pages, campus guests can flip through information on the people and places, academics and innovation, admissions and support available at UNM. From the more than 400 student groups to the almost 63 percent of the student body that identifies as multiethnic or as a racial minority, the UNM Visitor’s Guide gives specific examples of how the campus is unalike minded together. It provides readers with success stories from some of the more than 169,000 UNM active alumni worldwide -- just a taste of how lobos are always on the prowl, looking for bigger and better achievements. In addition, the guide highlights all that Albuquerque and New Mexico has to offer students, their families and visiting friends. 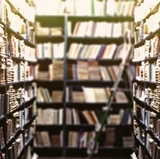 It boasts information on accommodations and attractions both on-campus and off. Departments can order their copies of the Visitor’s Guide now, by contacting University Communication and Marketing (UCAM) via email or by calling 277-5813. 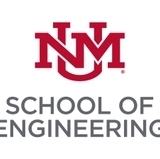 Not only is the Visitor’s Guide available for departments to order, it is also available on mobile devices by searching “Visit UNM” in the app store.